Functional Integration is a gentle hands-on movement session sensitively tailored to your specific needs and wishes. 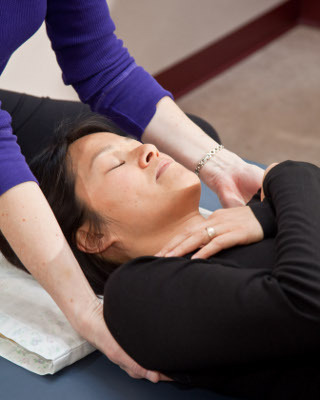 Susan Free, Guild Certified Feldenkrais Pracitioner®, will help you feel more balanced and integrated in your actions, experience greater ease, and improve your coordination and agility. A series of Functional Integration sessions can help you overcome movement limitations, balance issues, and chronic pain. Contact Susan if you would like to book an FI session or if you would like any more information about the Feldenkrais Method.